A guided walking break is a great way to explore our more challenging hills, finds Don Currie. There’s really no such thing as the typical hillwalker – but if there were, it might be me. 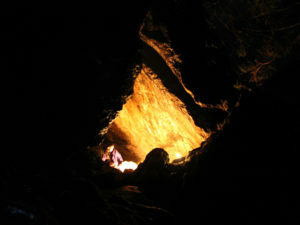 Reasonably fit, but no fanatic… able to use a map and compass, though liable to make the odd mistake… in possession of good boots and waterproofs, but a stranger to ropes, crampons and the like. 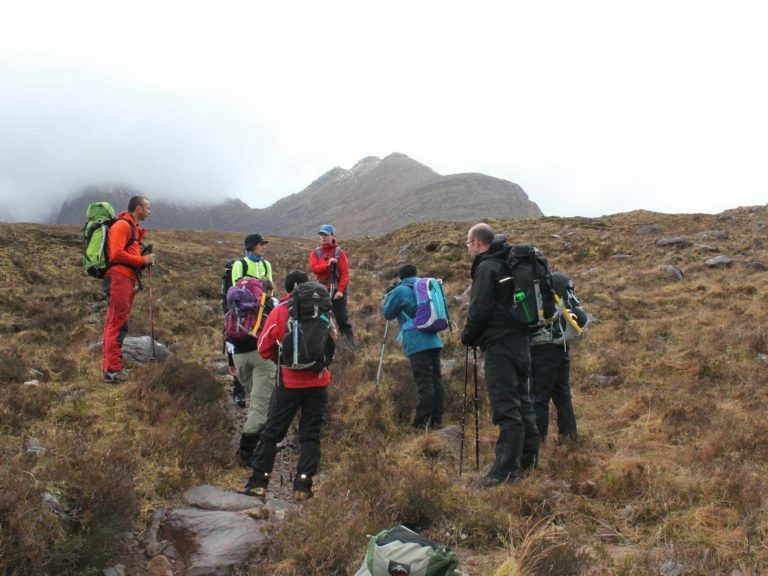 I think it’s folk like me that Hostelling Scotland had in mind when it put together a three-day “Torridon Munros” programme, with qualified mountain guides on hand to lead guests up hills they might hesitate to try on their own. Torridon Youth Hostel is a modern, purpose-built hostel with very enthusiastic, friendly staff. 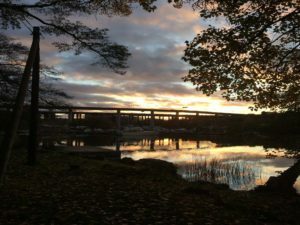 It was two very comfortable lounges, a big one with vast picture windows looking out over Loch Torridon and a smaller, more intimate one at the back of the building. It’s in the latter that we gather to get to know each other – nine walkers, varying in age and experience. Two are from Oban, two from Aberdeen, one from Edinburgh, one from Blairgowrie, two from Wales and one from Switzerland. Some are Munro baggers keen to add to their total, others have so far mainly been trail walkers. Jim Sutherland of nineonesix-guiding and the two guides he has asked to accompany us, Kirsty Chuchla and Iain Murray, come in to introduce themselves. Jim, who set up his company in 2003, won’t be coming with us – he’s a teacher and tends to be busy on weekdays during term-time. But he explains that the weather forecast is pretty mixed, and we may have to be flexible with our programme. We are also each issued with an ice axe and pair of crampons. Next morning it’s dull, wet and windy with a low cloud base and it’s no surprise when we’re told there will be no Munros today. Instead we set off to do a lower walk up Beinn Damh (hill of the stag), which is a mere Corbett, albeit one of the higher ones, at 2,962ft. All is well as we stroll round the road to the Torridon Inn, in the village of Annat, and climb up through pinewoods. But as we leave the trees and start to climb some exposed eastern slopes, making our way towards the still distant summit, the rain gets heavier and the wind becomes extreme – 60mph, with gusts up to 70mph. It’s becoming hard to put one foot in front of the other, and following a huddled conflab we turn south, losing height and finding it much easier to stay on our feet. In terms of peaks, the day has been a write-off but there is no dissent from the guides’ decision to turn back. Some of our party are light on their feet, and to carry on would certainly have been dangerous. The guides keep our spirits up and we relax enough to listen as Kirsty points out some plants, such as butterwort and bog asphodel, and we scan the skies in vain for bird life. We stop for our sandwiches and then make our way over bumpy ground as the cloud begins to break up and lift just enough to reveal something of the drama of Torridon. One of the hills that is intermittently revealed is Beinn Alligin, our destination for tomorrow. The guides have already proved their worth, quite rightly abandoning plan B in favour of plan C in the interests of safety, and keeping up our morale in the face of discomfort and disappointment. Of a possible six Munros over the three-day holiday, we have bagged none on the first day, but we have got to know each other and given the legs a good work-out. Next morning we’re all delighted to wake to brighter skies, no rain and little wind, so we divide into three car loads for the short drive to the foot of Beinn Alligin (jewelled hill). In full sunshine, we walk beside the Abhain Coire Mhic Nobuilon our approach to the dramatic Horns of Alligin, a rocky, deeply indented ridge leading to the summit. Here we don our helmets for protection in case loose stones are dislodged above us – which does happen once or twice, despite our efforts to be careful. It’s a steep scramble and we’re glad of Kirsty and Iain’s detailed knowledge of the route. There’s little bird life, probably because of the wind, and our nature notes are again confined to plants, such as crowberry and alpine lady’s mantle. There’s plenty of snow on the higher ground as we reach the Munro summits of Sgurr Mhor (big peak) and Tom na Gruagaich (hill of the maiden), pausing between them to gaze cautiously down the plunging crevasse called the Eag Dubh (black notch). By now there’s enough clear sky to see the Applecross peninsula and beyond to Skye, as well as sea lochs and ridges to count. It’s an easy descent to the cars and we all agree the day has been a massive improvement on the one before, both for weather and for what we’ve achieved. There are more delights in store in the evening as we abandon the hostel kitchen for the wonderful Whistle Stop Café at Kinlochewe, which serves up magnificent home cooking in an atmospheric wooden building adorned with artworks. Of the three Munro-height ridges in Torridon that were on our provisional itinerary, one – Liathach (the grey one) – has already been scrubbed from the schedule because of the ghastly first-day weather. But on our third and last day we set off for Beinn Eighe (file hill), hoping to bag both of its Munro summits and bring our tally for the trip to four. 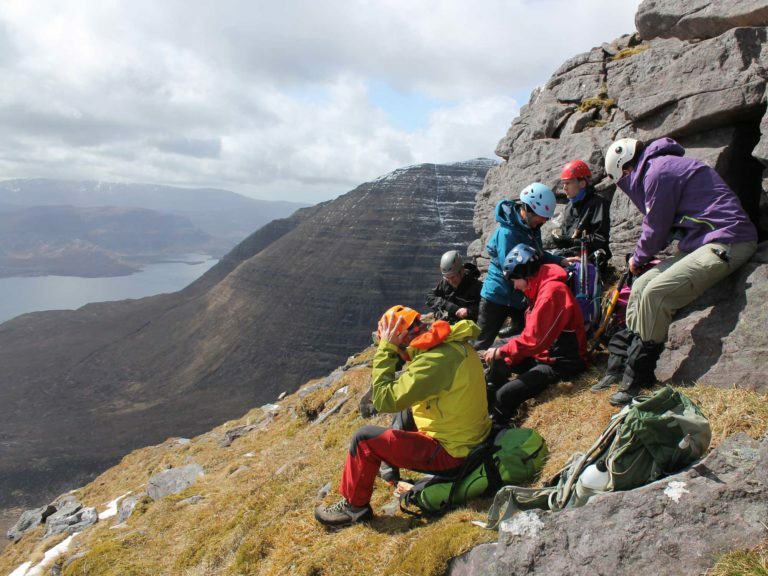 The wind has returned, the temperature has taken a dive and the approach we are using involves a long, difficult scramble up a ridge far more relentless than that on the Horns of Alligin. We reach the trig point and manage a bleak, curving walk to the first Munro, Spidean Coire nan Clach (peak of the corrie of stones). “How are we doing? Are we feeling the love?” shouts Iain, battling to keep our spirits up, and actually succeeding. 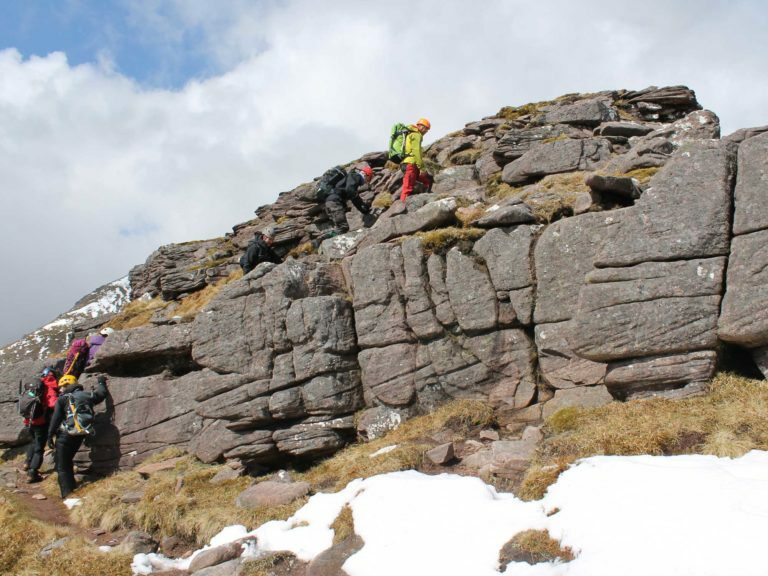 Through gaps in the snow we see that the rock is lighter in colour than the Torridonian sandstone we’ve become used to. Kirsty tells us this is because it’s quartzite. She tells us the relative ages, though none of us is really in the mood for figures and all I really register is that the quartzite is younger. 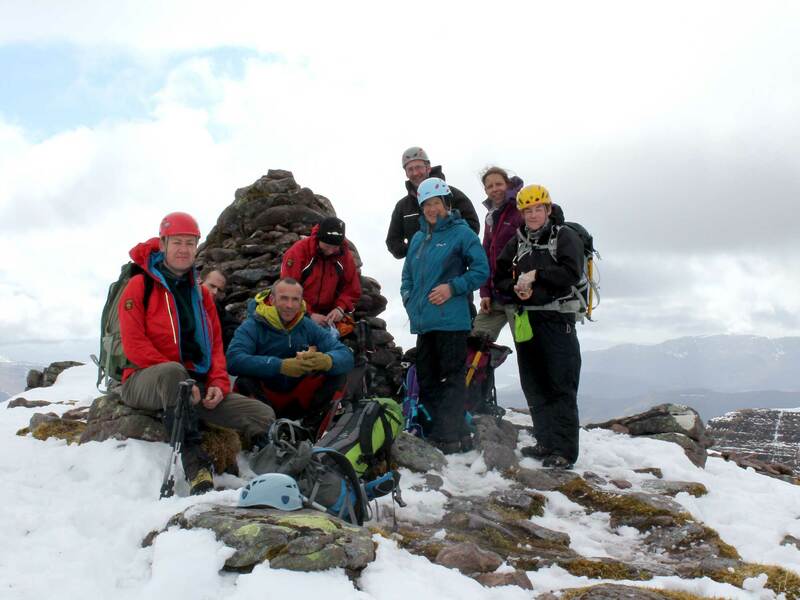 One Munro bagged, one to go – Ruadh-stac Mor (big red stack). But back at the trig point our guides make a decision. The conditions are dire, and getting direr. There’s to be no big red stack today – we’re beating a retreat. As on our first day, there are no protests. The guides know these hills well, the rest of us don’t. The wind is too strong to go back down the ridge, so we take a broader slope. The only hazard here is an expanse of steep, hard-packed, old snow where anyone losing their footing could slide a fair way. Iain goes down backwards, leaning into the slope and kicking steps in the snow with his boots. When he reaches the end of the snow patch, the rest of us follow, one by one. It all goes very quiet and the chat only resumes once we’re past the snow. We all live to climb another day, and Ruadh-stac Mor won’t be going anywhere. How, then, does walking in a guided group compare with going alone or with friends? Well, for me the guides bring several things to the party. They have wisdom, experience and a willingness to take decisions that will get people home safely even though they may cause disappointment. 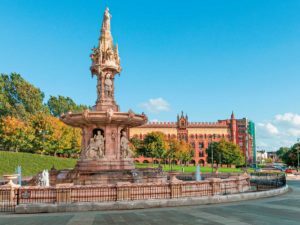 They have knowledge to pass on, making the walks more interesting, whether you’re into geology, wildlife, botany or human history. They take on the task of navigation, leaving you to relax and enjoy the surroundings. They keep your spirits up when the going gets tough. Walking with a bunch of strangers is a pleasant change, too – because they don’t remain strangers for long. You quickly find you have much in common, yet differ enough to keep the holiday interesting. Would I do it again? Definitely.